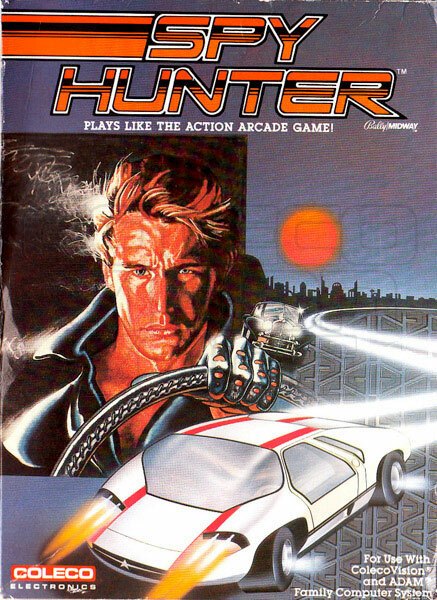 Having been ported to many game consoles and computers, Spy Hunter is one of those games that stands out from exciting game play to innovative controls and mechanics. It's been ported to often, I sometimes forget the Bally Midway arcade version had a steering wheel, gear shift, and gas pedal. As it was released for home consoles, some of the arcade controls had to be re-engineered for differing systems. 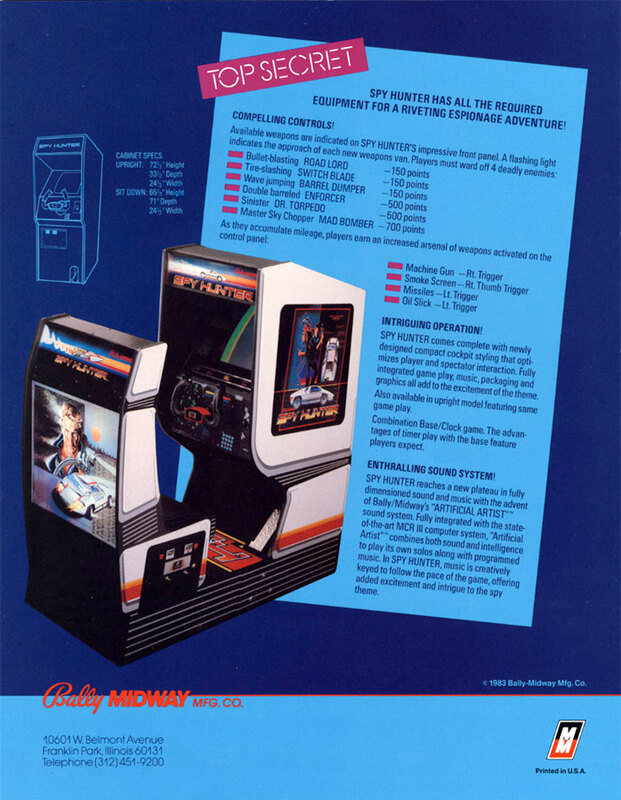 The arcade game was available as both an upright cabinet and a sit-in design - each of which had the same steering and pedal controls. We came to expect more features in a sit-in cabinet, but all the uprights had the unique steering wheel with mounted fire buttons. Those lucky enough to own a Colecovision, knew the vast superiority of arcade ports compared with other consoles of that era. Spy Hunter is no exception and delivers an amazingly fun version for home players. Details like muzzle flashes from the machine guns to the detailed animation of crashes, this version easily rivals the frustrating NES port. An influx of enemy agents into this country necessitates mobilization of Mission: Spy Hunter. The Department charges you with the responsibility of eliminating these agents, using all means at your disposal. Your base of operations is the Spy Hunter vehicle. You will be equipped with a machine gun and unlimited rounds of ammunition. The Department will have Weapons Vans situated at various points along the road, allowing you to augment and replenish your arsenal. The danger level is high! While you are on the road tracking down the foreign spies, they will be on a mission of their own: to seek out and destroy the Spy Hunter vehicle. They will try to deter you by various methods; from the road, from the water and from the air. These enemies are insidious and cunning! You will be required to call upon all your resources, reactions and instincts in order to assure success. Greatest Arcade Hits: Volume 1 for Nintendo 64; Midway Arcade Treasures, a 2003 compilation of arcade games available for the GameCube, PS2 and Xbox; and Midway Arcade Origins, a 2012 compilation for PS3 and Xbox 360. The opening screen will delight those who have the Super Action Controllers as this is your first selection screen. Game functions are mapped for the standard keypad or the larger buttons of the Super Action Controllers, which makes weapon changes much easier. There are four different game options for one or two players. Your controller lets you steer as well as speed up and slow down. As you dodge civilian cars & motorcycles and shoot or side-swipe enemies you'll find distinct uses for that well designed speed control. You have unlimited ammo for your machine gun, but entering the weapons van will give you upgrades to deal with tougher enemies. The vehicles you encounter are randomized so each game is different and you won't discern easy patterns to sync with. When the road forks, you have to make a split-second decision. Sometimes, it's smooth sailing, other times you may encounter new road obstacles. 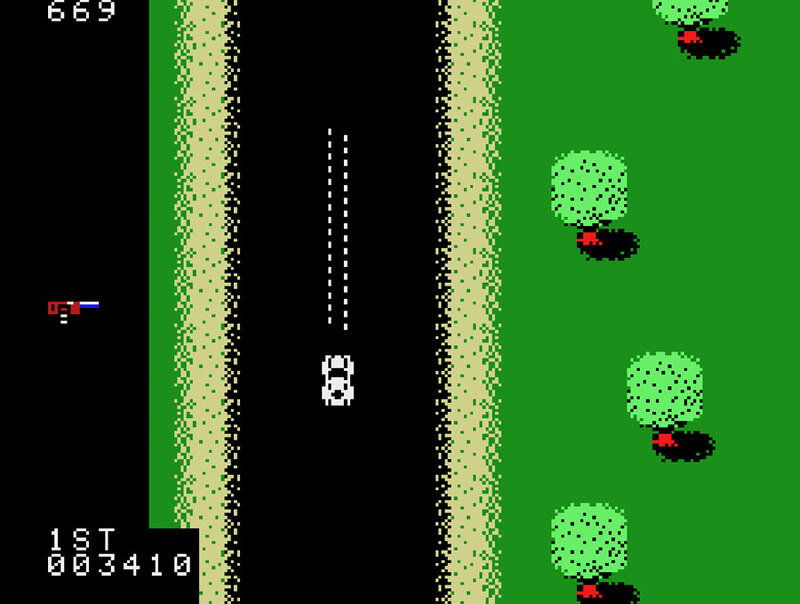 If you see a small road to your left, take it to reach the boathouse and take to the water in a Spy Hunter speedboat. Terrific details like the disappearance of your boat's wake indicates shallow water. You'll need to navigate to deeper water (regaining your wake) to avoid running aground. These subtleties make Spy Hunter a classic with great replay value. Two-player games can get pretty competitive as each player continues until their demise. You won't recognize these enemies by their faces, but they'll be on the road and the water seeking to kill you. 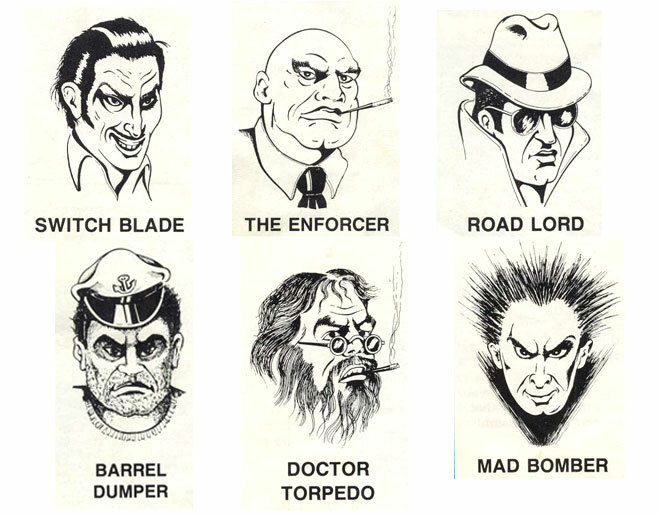 In the manual, each enemy has a brief bio paragraph describing some of their characteristics. This trend in manuals of setting up the story in images and text has been lost over time. 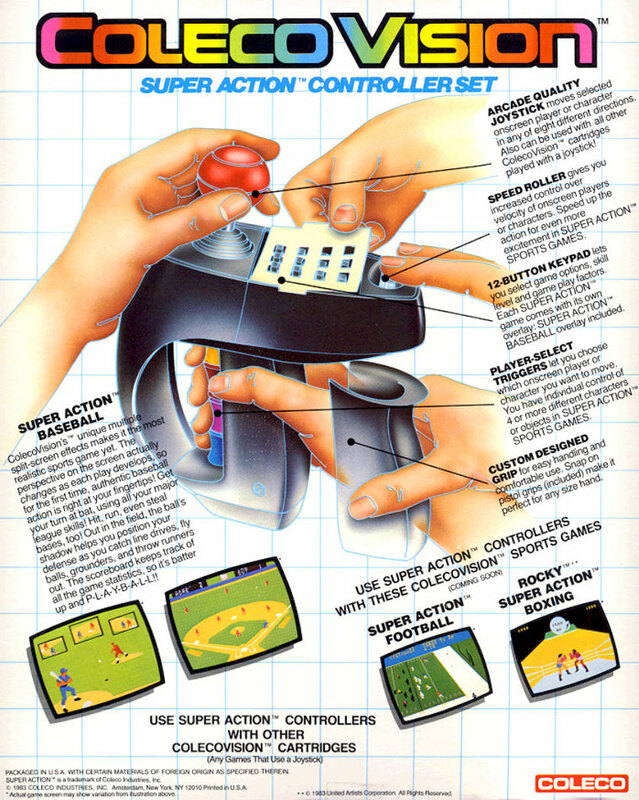 But in the early 80's, the often pixelated imagery, was clarified in manuals that offered everything from goals, points and controls to tips and a catchy back story. If the action becomes to much for you, the asterisk button will pause the game... or you might want to go get a snack. All skill levels grant a new Spy Hunter at 10,000 points and again at 18,000. After that, a new vehicle is granted every 30,000. It's a great game with a great Peter Gunn soundtrack. I can't say enough good things about the Colecovision version! was ported to many home systems, but the Colecovision version really shines with great game play and phenomenal detail. Even if you don't own original hardware, give the ROM a try and experience the living room joy we found in 1984! 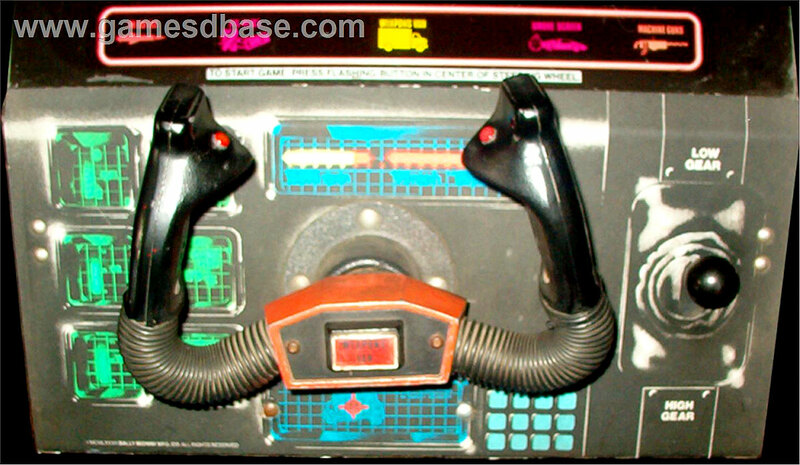 I miss that awesome steering wheel and the pedals, but Coleco did a fine job of brining this game home.